Digi-Capital forecasts that by 2020 global VR&AR market size will rocket to USD 150 billion, of which AR market will account for USD 90 billion. Asia will generate at less half of global VR&AR sales, especially China where consumer acceptance for VR&AR is generally higher. On a show floor of 20,000 sq.m, over 100 acclaimed exhibitors at home and abroad such as VRway, Hirain, Leke VR, Shenlinqijing, Foldspace, NineD, TPcast, Huan Tek, Xiechuang, EFERCRO, Movie Power, etc, showcased their latest offerings to visitors of over 30 countries and regions. While VR&AR entertainment equipment dominated the show, VR&AR based education were the second best represented sector. The 2018 edition is estimated to host over 200 exhibitors and 30,000 person-time visitors on an show floor of 30,000 sq.m. 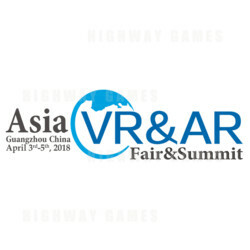 Four special exhibition areas will be marked out respectively for VR&AR Based Education, VR&AR Based Home Decoration, VR&AR Smart Wearable Devices, and VR&AR Entertainment Equipment in order to achieve a more systematic and comprehensive display of VR&AR products.